‘Where’s that?’ is the most common response from people when I tell them I have travelled to Oman. I went there for just five days in May 2011. I hope to return one day. Ladies — Oman is a traditional Islamic country but as a tourist, you do not need to cover your hair, except when in a mosque. I wore long skirts, and loose-fitting t-shirts to the elbow — and I must have been doing something right because more than one old local lady gave me an approving smile and nod when I passed (and yes, they will quietly inspect you, glancing you up and down as they walk by). I travelled to Oman with a friend. Originally, we were meant to go to Syria as part of a two-country itinerary including Jordan, but conflict was very much heating up there, so the plan changed (count this as a win for the smartraveller.gov.au site too, which I’d been monitoring like a hawk). A good friend in Australia had travelled to Oman a few years early for work, and raved about it. So after adding it to a new shortlist, and some research and discussion, Oman came off the bench to star in our Middle Eastern adventure. Originating in Amman, after a brief stop in Doha (I don’t think I’ve been in such a chaotic airport departure hall. Good people-watching fun when you know you aren’t late for your flight; less so I imagine for people cutting it fine), we flew into Muscat. My first impressions were an immaculately clean airport, and immaculately presented customs officials in their white dishdashas (long robes) and traditional bright massar headdress. After a smooth passing of customs, we were on our way to the hotel, and even in the dark it was easy to see out of the taxi window how neat and tidy the city was, and how many bright flowerbeds carpeted the capital. At our hotel, my friend and I were going through the ritual of filling out passport details for reception, when someone abruptly (the young gentleman working at hotel reception called it ‘rudely’) sided up to me and said, in an excitable voice, ‘Are you an Aussie?’. I realised he had spotted the tiny gold kangaroo and emu that travel the world with me on my passport. This was our introduction to Asim — a guy maybe a bit older than me, an Australian from Sydney, born in Pakistan. Easily within 90 seconds, he’d asked where I was from in Australia, where my friend was from, explained where he had been travelling, and importantly, asked if we wanted to share a hire car to see some other cities in the coming days. He then went on his way. Much to the disappointment I’m sure of our young gentleman friend working at reception, we did agree to travel with Asim for a couple of days (the young man had politely, and with a most worried facial expression, pulled me aside later that evening and said he thought Asim was rude to me, and not respectful of we ladies, and if we wanted something done to let him know). For me, Asim seemed a completely normal, excitable Australian traveller — I’m not sure what that says about the two cultures and our standards of behaviour. Sometimes you just have to trust your instinct and trust strangers; especially when travelling. A day or so later, it was road trip time. My fellow travelling friend didn’t drive, I refused to drive on the ‘wrong’ side of the road, and Asim wanted to. Following a bit of a ‘National Lampoon’ departure from Muscat, the shiny Toyota Corolla and our little trio were on our way. Amid the car rides peppered with reciting of lines from Kath & Kim, all sharing tales of romance, all counselling each other on romance, and the typical ‘Melbourne v Sydney’ discussion (which naturally is like shooting fish in a barrel; for me from Melbourne), we saw quite a bit. It is fair to say, for all of his hyperactivity and insistence of having group photos at every stop (I am ‘camera subject shy’), that had it not been for Asim’s extraversion, and quite simply having a male with us — especially a Muslim who could bond with locals and also speak some Arabic — we never would have seen and experienced what we did. This old capital of Oman is built around a prominent fort (there are many, many forts in this country. Many). On the day we arrived in Nizwa, it was 45 degrees. Growing up in inland Australia prepared me for 40 degrees, but those extra five took it to a whole different level. I was quickly blowing any karma that came from purchasing ‘green air miles’ on my flights, by insisting we keep the air-conditioning on in the car when we parked while Asim would stop for prayer, or one of us ran into a shop to get food or drinks for the road. However, I was unmovable in my certainty that such refrigeration was necessary for our (my) sanity. The first thing we did (after having tested our patience trying to find a hotel at a decent price) was find lunch, and we came across a super-air-conditioned restaurant serving local cuisine. It was freezing. It felt heavenly. I think we really would have paid and eaten anything at that restaurant to be able to sit in the air-conditioning (I’m aware air-conditioning has been mentioned multiple times in one-and-a-half paragraphs — while not great writing, it should help paint a picture of the atmosphere). Dining areas were private so families could eat together (i.e. men and women eating together), guests sat on the floor, food was brought out on a giant tray — and it was delicious. Thanks to Oman’s geographical location, the local food has African, Middle Eastern and Indian influences, which makes for an interesting, and mighty tasty, combination. While rice is a staple feature of almost every meal, alcohol is of course a no-go in this Islamic nation (If you are hankering for a wine or beer, most big hotel bars will accommodate you — jut not the local restaurants. Given the heat, all we wanted was ice water). Our timing didn’t coincide with Nizwa’s famous animal market, which we had all discussed trying to see, but we still had a restored fort with its medieval trap doors and narrow hallways, and old souk, to explore. Although we were bunking down in Nizwa, the reason for driving on and venturing to Al Hamra was to see an old mud brick village next to the oasis. But we got so much more than we expected — in the best of ways. We arrived in town in the late afternoon, and after a stop in a cafe to escape the heat, a bit of a drive around the streets looking for the old mud village, we went for a wander. It was fairly obvious to locals we looked a) like tourists and b) lost. Soon children were running towards us at the sight of our cameras (their excitement of us agreeing to take their photos*, then seeing themselves on the screen, made us melt; parental DLSRs and smartphones not so common in this part of the world). Luckily my companions had come prepared with sweets, and small pots of ‘blowing bubbles’ to share with the kids and calm the scene. Around this time, mosque had just finished, and groups of men were returning to their homes in cars. One car pulled over to talk to us. The driver introduced himself, “Muhummad”, and he spoke very good English (later explaining this was thanks to having studied in the UK on military scholarship when he was younger). He asked us if we were lost (‘Um, yes!’), then offered to show us around the town; and we agreed. A couple of hours of adventure followed. We found and wandered the old mud village, went through the oasis, were taken to where locals collect fresh water, drove to a ‘lookout’ over the town (apparently also a place where young guys in flash cars like to meet), and most special of all — invited to Muhummad’s house for coffee and dates. Of course we said yes to that invitation too, and it was a bit of a surreal experience having only a couple of hours earlier been lost and surrounded by children and goats, to then be sitting in this ex-army general’s lounge, listening to his stories and meeting some of his 15 children. As polite and friendly as his children were, we did spot the initial looks of ‘Dad — really — tourists again?’, and sighs and eye-rolls that are common to teenagers everywhere. Yes, Muhammad confirmed he often picked up strays, and loves showing off his little part of the world to them. We sipped coffee, ate fresh dates. I had three; and I can’t tell you how much I detest them — but best manners had to be shown. I must have looked like I enjoyed them, because Muhummad kept insisting I eat more. I was pleased with my acting performance — you never know what skills you discover you have when travelling. It was nearing dinner time for us, and as much as Muhummad’s invitation for us to bunk down at his house was generous, we were headed for the hotel. On the now busy main street that Muhummad lived, locals, cars and bikes were everywhere, as a drop in temperature had drawn everyone out in to the evening. We waved goodbye to him, thanked him for rescuing us, got into the car, and like three little kids back in the village, giggled and squealed. ‘How. Magical. Was. That’, my friend said with a tone of disbelief. The 30-minute or so car ride back to Nizwa was full of laughter and reliving our afternoon, cross-checking that it had all really happened. The next day, we made our way back to Muscat, after filling the almost-empty petrol tank of the car with what I calculated was approximately a whole $12 Australian dollars of petrol. Aside from the cleanliness of this city that would turn the ‘three second rule’ of eating food dropped on the ground, to probably a 15 second rule, the other noticeable feature is the architecture. It is new, it is modern, but it is in keeping with traditional Omani architecture. We were to later understand that this was a very deliberate move when modernising Muscat (which is a work in progress), that the architects and property developers ensured it still looked ‘Omani’. There are no mirrored skyscrapers here. 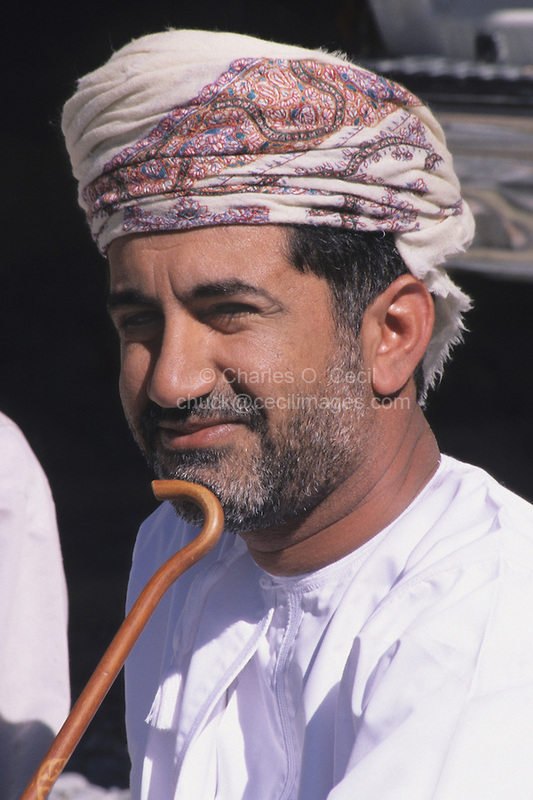 Asim had learnt from a conversation with a taxi driver, that Sultan Qaboos was very aware that when investing in ‘re-doing’ the city, it would be very attractive to people living in towns and villages far away, and he worried that this might create migration to the cities, and ghost towns elsewhere. To try to overcome this, he basically gave people outside Muscat money to maintain/repair their homes, as incentive to stay. I’m not sure if it is true, but it seemed like a smart idea all the same. The Sultan Qaboos Grand Mosque is spectacular and a must-see. We were driven here by an elderly taxi driver, who was very sweet and made sure we knew we could only be there during the two hours allocated for tourists outside of prayer time, and he nervously asked us did we understand we had to cover our hair (we did understand — I think he was worried about us getting in trouble as we’d been ‘scarf free’ for the taxi journey due to the heat). We of course got our scarves out, and got his approval on our efforts. He seemed impressed, and relieved. With our purses out, we offered our payment for the ride, and he said, ‘No, I’ll come back at get you at 11am — you can pay me then’. An example of the trust people have of each other’s word. The scale of the Grand Mosque, the woven carpet, the giant Swarovski Crystal chandelier — were all beautiful. After we’d explored the inside of the building, I wandered outside in the gardens, and the long walkways with bright coloured tiles, and met a, well, I’d call him an ‘elder’ (I’m sorry to say I don’t know the equivalent religious term). We sat and discussed my travels, and he talked about his role at the mosque teaching tourists about Islam, and answering their questions; and I asked him many in a myth-busting exercise. You never know who you might run into and what you might learn. 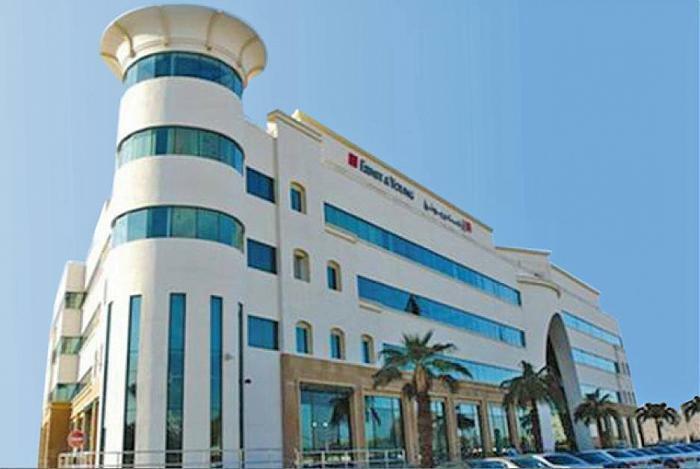 Like any capital, in Muscat there are offices of global companies like Ernst & Young, shopping mall, lots of traffic, restaurants, and visible signs of Western expats, business travellers and tourists. It is a very easy and safe city to be in — although transport is either taxi or walking for a tourist — and the warm evenings are perfect for outdoor dining and wandering. When we went to the restaurant along Qurum beach, I felt like I could have been walking along Jacka Boulevard in Melbourne’s St Kilda. I will warn you of one thing — the roundabouts are a little odd in Muscat. Not so much for their frequency (Hi Canberra!) or chaos (Hi Melbourne giant-flag-with-tram-through-for-fun roundabout!) — but for their rather kooky sculptures at the centre. I mentioned earlier that Oman is the home of frankincense, and you have no chance of forgetting this with giant insense burners and the like at the centre of roundabouts (and in other random locations). But this leads me on to my final point about Muscat — the perfume. Almost every shop you wander by will be burning frankincense, and pretty much everyone who walks by you (in particular the local men), will leave a trail of beautiful fragrance. This lead my friend and I to the souk to stock up on oils. And today when I smell my sandal rose, or musk rose, I can still smell the warm Muscat air. You can see photos of my time in Oman below, and there are more on Flickr too. If you are interested in travelling to Oman, or seeing photos of other parts of the country, the Oman Government tourism website is a good place to start. *I just want to make a small mention that the mothers of the children in Al Hamra were seated together nearby to us when we were lost, and following the requests of the children, we asked for permission to take photos of the children; and were granted it. This is something that was very important to us; that we always treated locals with respect, as we would people at home. And that meant no photography of children without permission. And for me, no publication of these photos on the internet. The view from the car while we were jammed in a narrow laneway. The longest three-point turn I’ve been involved in. This photo was taken before more of a large local audience of people and cats appeared. (I was not driving). In Muhummad’s lounge room, him in the middle of one of many stories. Pakistani restaurant Asim took us to, this is the view from the ‘family’ (men and women seated together) section upstairs. There are many labourers from Pakistan and Bangladesh in Oman, and the restaurants cater to this.